Isabella of France married Edward II in January 1308, and afterwards became one of the most notorious women in English history. In 1325, she was sent to her homeland to negotiate a peace settlement between her husband and her brother Charles IV, king of France. She refused to return. Instead, she began a relationship with her husband’s deadliest enemy, the English baron Roger Mortimer. With the king’s son and heir, the future Edward III, under their control, the pair led an invasion of England which ultimately resulted in Edward II’s forced abdication in January 1327. Isabella and Mortimer ruled England during Edward III’s minority until he overthrew them in October 1330. A rebel against her own husband and king, and regent for her son, Isabella was a powerful, capable and intelligent woman. She forced the first ever abdication of a king in England, and thus changed the course of English history. 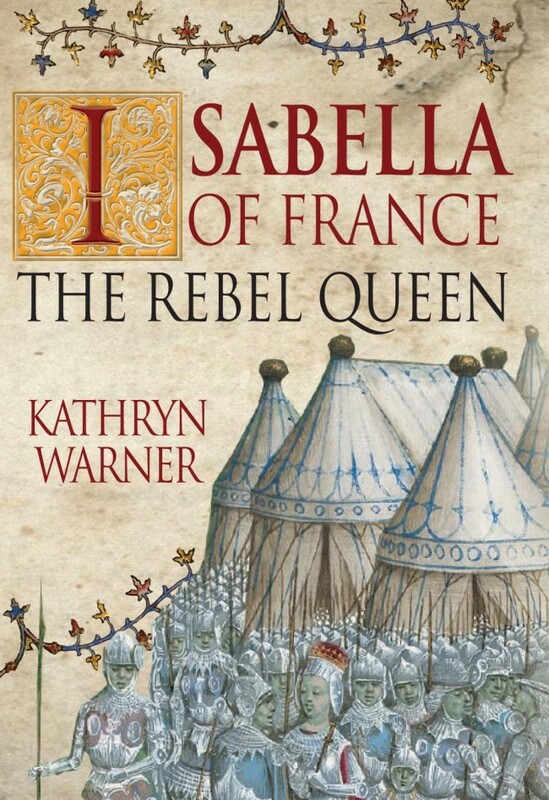 Examining Isabella’s life with particular focus on her revolutionary actions in the 1320s, this book corrects the many myths surrounding her and provides a vivid account of this most fascinating and influential of women. The hot summer of 1326, which had brought drought to England, was finally drawing to a close. Forty-two-year-old King Edward II was staying at the Tower of London with his household and the few important allies who still remained to him after almost two decades of misrule, favouritism, greed and ineptitude: Hugh Despenser the Elder, earl of Winchester; his son Hugh Despenser the Younger, lord of Glamorgan, the king’s powerful chamberlain and perhaps his lover; Eleanor de Clare, Hugh the Younger’s wife, the king’s beloved eldest niece and, bizarrely, also perhaps his lover; Edmund Fitzalan, earl of Arundel; and Robert Baldock, chancellor of England. Despite the huge stress he was under, Edward II found time to reimburse the keeper of his private possessions 10d for four pairs of buckskin gloves which had been made for him for the coming winter, and gave 8d to a man who had brought him a gift of fish. The king himself went out to the Tower’s postern gate, where he encountered a fisherman named Richard Marbon and paid him 3s for two fine salmon. Meanwhile, eighty miles away, a fleet of fewer than a hundred ships was landing somewhere along the River Orwell in Suffolk. No one at the time, least of all the oblivious Edward II, could have guessed that the landing of this fleet and the no more than 1,500 people who came ashore would spell his downfall; that these soporific days at the Tower were the last days of peace he would ever know; that soon he would be forced to flee from his capital, little more than a fugitive in his own kingdom; that within four months he would have lost his throne, forced to abdicate in favour of his teenage son. Even before he heard of the fleet’s arrival three days later, however, Edward knew perfectly well who one of the leaders of the invasion in Suffolk was. His estranged wife and queen, Isabella of France. Isabella of France (c. 1295–1358), who married Edward II in January 1308, is one of the most notorious women in English history. In 1325/26, sent to her homeland to negotiate a peace settlement to end the war between her husband and her brother Charles IV of France, Isabella refused to return to England. She began a relationship with her husband’s deadliest enemy, the English baron Roger Mortimer, and with her son the king’s heir under their control, the pair led an invasion of England which ultimately resulted in Edward II’s forced abdication in January 1327. Isabella and Mortimer ruled England during the minority of her and Edward II’s son Edward III, until the young king overthrew the pair in October 1330, took over the governance of his own kingdom and had Mortimer hanged at Tyburn and his mother sent away to a forced but honourable retirement. Edward II, meanwhile, had died under mysterious circumstances – at least according to traditional accounts – while in captivity at Berkeley Castle in September 1327. Though she was mostly popular and admired by her contemporaries, her disastrous period of rule from 1327 to 1330 notwithstanding, Isabella’s posthumous reputation reached a nadir centuries after her death when she was condemned as a wicked, unnatural ‘she-wolf’, adulteress and murderess by writers incensed that a woman would rebel against her own spouse and have him killed in dreadful fashion, or at least stand by in silence as it happened (the infamous and often repeated ‘red-hot poker’ story of Edward II’s demise is a myth, but widely believed from the late fourteenth century until the present day). Isabella’s relationship with Roger Mortimer and her alleged sexual immorality, as well as her frequently presumed but never proved role in her husband’s murder, became a stick often used to beat her with; a typical piece of Victorian moralising by Agnes Strickland declared that ‘no queen of England has left such a stain on the annals of female royalty, as the consort of Edward II, Isabella of France’. Strickland’s work divided the queens of England, seemingly fairly arbitrarily, into the ‘good’ ones such as Eleanor of Castile and Philippa of Hainault, and the ‘bad’ ones such as Eleanor of Provence; Isabella of France, naturally, fell into the second category. Her reputation fared poorly between the sixteenth and nineteenth centuries, and well into the twentieth: in the early 1590s the playwright Christopher Marlowe called her ‘that unnatural queen, false Isabel’, a 1757 poem by Thomas Gray was the first to apply the ridiculous ‘she-wolf’ nickname (which had been invented by Shakespeare for Henry VI’s queen Margaret of Anjou) to her, and in 1958, exactly 600 years after her death, Isabella was still being called ‘the most wicked of English queens’. The French nickname sometimes used for her, la Louve de France – the title of a 1950s novel about her by Maurice Druon – is simply the translation of the English word ‘she-wolf’ and has no historical basis whatsoever. (Although it is sometimes claimed nowadays that Edward II himself, or his favourite Hugh Despenser the Younger, called Isabella a ‘she-wolf’, this is not true; one fourteenth-century chronicler, Geoffrey le Baker, called her Jezebel, a play on her name, but otherwise no unpleasant nicknames for her are recorded until a few centuries after she died.) An academic work of 1983 unkindly calls Isabella a ‘whore’, and a non-fiction book published as late as 2003 depicts her as incredibly beautiful and desirable but also murderous, vicious and scheming, and claims without evidence that she ‘had murder in her heart’ towards her husband in 1326/27, called for his execution and was ‘secretly delighted’ when she heard of his death. Her contemporaries were mostly kinder. With the notable exception of Geoffrey le Baker in the 1350s, who was trying to promote Edward II as a saint and who detested Isabella, calling her an ‘iron virago’ as well as ‘Jezebel’, fourteenth-century chroniclers generally treated her well, and it is certainly not the case, as is sometimes claimed nowadays, that they called her a ‘whore’ or anything equally ugly and harsh because of her liaison with Roger Mortimer. Most fourteenth-century chroniclers seem uncertain whether Isabella even had an affair with Mortimer at all, and a few depict the two merely as political allies and call Mortimer Isabella’s ‘chief counsellor’, which may be a more accurate portrayal of their association than the romanticised accounts so prevalent in modern writing. In the late twentieth and twenty-first centuries, writers have mostly been keen to write Isabella sympathetically and rescue her from the unfair calumnies heaped on her head for so long – an impulse to be applauded – but in doing so have tended to go too far in the opposite direction. As a result, Isabella is depicted nowadays as a tragic, long-suffering victim of marital cruelty, impoverished and deprived of her children, who is miraculously transformed in 1326/27 into a strong, empowered feminist heroine bravely fighting to end the oppression of her husband’s subjects and to get her children back. This is no more accurate than the old tendency to write her as an evil she-wolf.